The purpose of this project was to help guide the Clarus Initiative, an FHWA effort to establish a vision for the leveraging of local and regional road, rail, and marine weather observations. 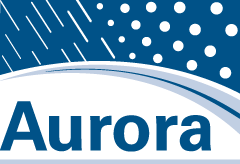 The Aurora membership was instrumental in assisting with the early implementation of this initiative.The purpose of this project was to help guide the Clarus Initiative, an FHWA effort to establish a vision for the leveraging of local and regional road, rail, and marine weather observations. The Aurora membership was instrumental in assisting with the early implementation of this initiative.